Tiger Woods made a grand comeback at the WGC-Accenture Match Play Championship. It was termed as one of the most anticipated returns in sports by the Associated Press. He made his first victory after the 8 months gap post the surgery, in the Arnold Palmer Invitational. He continued with his victory feat establishing the fact that once a tiger always a tiger. In fact he played a major role in promoting the game and giving it the status it today enjoys. Tiger Woods made his second victory in Memorial Tournament. However with the 2009 Open Championship he failed to hold on to his preceding glorious wins, and missed it for the second time since the time he turned professional. 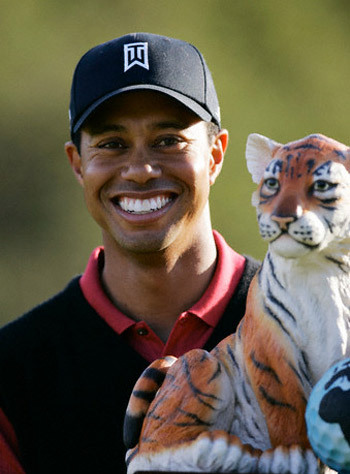 With the Buick Open Tiger Woods gathered the 4th victory of the season, having gained three victories prior to that. In fact Woods win at this game made another record of the biggest turnaround pro victory till date. He made his 70th professional event with the participation and win in the WGC-Bridgestone Invitational. He defeated the likes of Pádraig Harrington and Robert Allenby. In the 2009 PGA Championship Woods played lead initially however at the end he lost to Yang Yong-eun. This was his first loss on the American soil as well as his first defeat after being on the lead after 54 holes. This also implied that he would the year without a major win since 2004. Woods however remained unperturbed as he went on to bag the 71st career title in the BMW Championship. This promoted Tiger Woods to the top in the FedEx Cup standings. His 5th win in the BMW Championship also marked the 5th time he had won any event five times or more while on the PGA tour. He concluded second in the Tour Championship grabbing his 2nd FedEx Cup title. The 2009 Presidents Cup witnessed the old Tiger Woods performing. The team of Woods and his friend Mark O’Meara and Shigeki Maruyama marked the victory season remarkably well. In fact his later pairing with Steve Stricker also had a similar outcome where they defeated the pairs of Ángel Cabrera and Geoff Ogilvy, Tim Clark and Mike Weir and Ryo Ishikawa and Y. E. Yang. He also had the opportunity of returning the defeat to Yang in the singles game of that very Cup. Woods also adorned his profile with the first win in the PGA tour of Australasia against Australian Greg Chalmers. This event known as the JBWere Masters also marked his 38th European tour win. To know more go through the next post of the making of Tiger Woods. The trysts of Tiger Woods with victory continued. Though a minor slump in the interim had set people thinking, however, his terrific journey back to the top clearly put all to silence. It is no doubt that Woods mesmerizing affair of wins persisted as he again won the World Golf Championships event, for the 14th time at WGC-Bridgestone Invitational. He became the first golfer to win the same three straight times in two separate events. Next Tiger Woods went on to win the PGA Championship by defeating Woody Austin, again striking the record of being the first golfer to possess two back-to-back PGA wins. After Sam Needs he became the one to have made 5 PGA victories in 8 separate seasons. Tiger Woods made his 60th PGA win in the BMW Championship. He concluded with the 2007 season with a runaway win in the Tour championship, also gathering the honor of being the champion of the inaugural FedEx Cup. He started his 2008 season with a victory at the Buick Invitational. This victory not only attested his 62nd PGA tour victory but also set him on a tie with Arnold Palmer for the 4th position on the all time list. This victory was followed by the Dubai Desert Classic win. Woods won his 15th World Golf Championships Event at the Accenture Match Play Championship. He completed his 5th consecutive PGA tour victory at the Arnold Palmer Invitational by defeating Bart Bryant. However the knee injury that Woods already had resurfaced again leading to the left knee arthroscopic surgery. This kept Tiger Woods away for a span of two months. He also had a harmless tumor removed surgically. Despite all this Woods still managed to bag Men’s Fitness’s fittest athlete in the June/July issue. He again returned in the much awaited 2008 U.S. Open with the likes of Adam Scott and Phil Mickelson. Though he made a place in the finals, an all but obvious incident, yet he did not seem too well. Woods made a remarkable victory with the sudden-death hole stroke, against Mediate, bagging his 14th major championship. The caliber of Tiger Woods is justly captured in Mediate’s comment “This guy does things that are just not normal by any stretch of the imagination”. Even Kenny Perry could not stop his awe when he said “He beat everybody on one leg”. Tiger Woods had to retire for the season as he had already overstressed his knee and it was later discovered that he played for a span of 10 months with a torn ligament in his knee. He underwent the reconstructive anterior cruciate ligament surgery and sustained a double stress fracture while recuperating from the surgery. His U.S.Open victory was termed the “epic” victory. To know more go through the next post of the making of Tiger Woods. With his mentor gone forever, a shaken but poised Tiger Woods won the 2006 Open Championship and dedicated it to his father. In fact this win was quite an emotional one for the tiger of golf. Thus started his era of victories just the way it used to be. The stepping of Tiger Woods on the grounds would spell victory; the results were as if predictable. 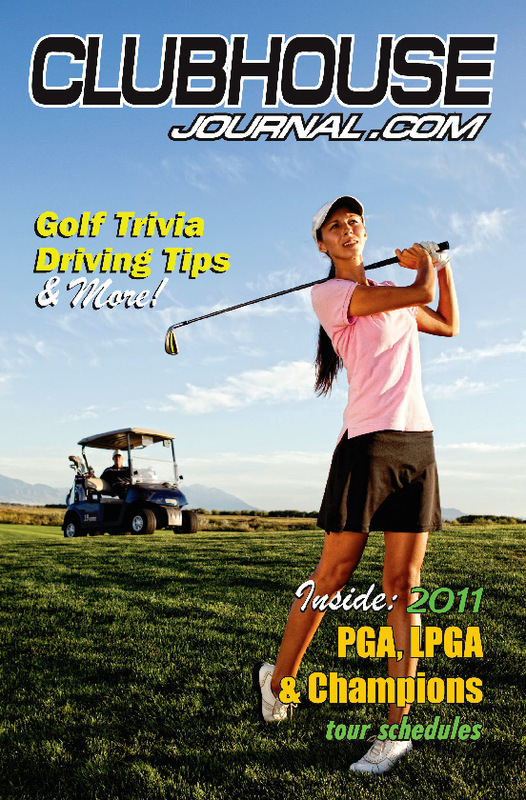 In fact the wins at the 2006 PGA Championship and the Buick Open further went on to attest that fact. These victories not only assured his resurgence into the arena of golf but also saw him becoming the becoming the youngest golfer to do that, merely at an age of thirty years and seven months. Not only did Tiger Woods win 6 consecutive PGA tour events while the year ended but also rightfully grabbed the prestigious prizes in the guise of Jack Nicklaus, Arnold Palmer, and Byron Nelson Awards for the seventh time which in itself was a record. In fact this trio also happened to be among the most respectable awards of the PGA tour. By the end of his first eleven seasons he had already created records of 54 wins and 12 major wins in a PGA tour. 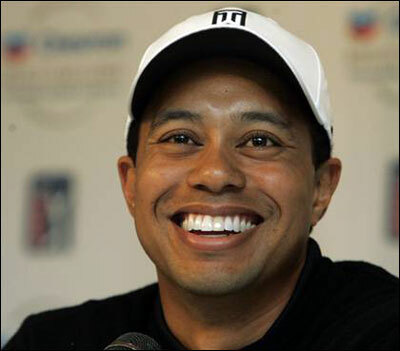 Tiger Woods was named the Associated Press Male Athlete of the Year for a record tying fourth time. With his victory in the Buick Invitational he became the third man to have won at least 5 times in 3 different events on the PGA Tour. Tiger Woods made his second victory in WGC-CA Championship attesting the ibid mentioned honor. His third victory came in the form of Wachovia Championship. His winning streak continued to persist much to the relief of his fans who had almost feared losing him during the slump. To know more go through the next post of the making of Tiger Woods. A series of ups and downs went into the making of his expert golfer. Without these minor slumps the profile of Tiger Woods would have remained untainted and spotless, wreathed and interlaced by his innumerable victories. However as goes the fact that nothing but the Almighty lord is perfect, this golfer also had his share of downturns. For a couple of years Tiger Woods underwent a number of demotions as far as his positions and rankings were concerned. Though these demotions were only short-lived knowing the caliber of Woods, yet for someone of his status, the expectations always remain very high and so are easily crushed. The years 2003-2004 witnessed barrenness as far as Woods victories are concerned. He dropped first tom the second and then to the fourth position in the PGA tour money list. In fact in the month of September, 2004, the unfortunate event of being replaced as the world’s numero uno golfer occurred with the culmination of Deutsche Bank Championship. The person who replaced Tiger Woods was Vijay Singh. Though many people opined different reasons trying to explain this slump yet Woods was of the opinion that he was adjusting his swings to reduce the wear and tear of his surgically repaired left knee. He expected that once the adjustments were successful he would return back to the form he used to have. The series of victories in the Buick Invitational, Ford Championship at Doral, 2005 Masters Tournament, 2005 Open Championship, 6 official money events on PGA Tour, 2005 and two wins at the World Golf Championships kept placing Tiger Woods at the first position in the world rankings, intermittently. Woods and Singh kept swapping the first positions for quite some time until Woods reclaimed his position for once and for all. 2006 saw him winning two PGA tournaments. The death of his father come mentor gave a clear jolt to Tiger Woods. Though he returned after the nine weeks he had taken off to be with his family, Woods clearly displayed his rust by missing the cut at Winged Foot. The Western Open portrayed a more poised Woods ready to safeguard his Open Championship crown at Hoylake. To know more go through the next post of the making of Tiger Woods. Golf world had received its Jesus in the form of the ace golfer Tiger Woods. It is simply needless to mention that the grounds of golf had never witnessed such consistent performances at such a tender age. He not only glorified the name he bore but also the game golf basked in the glory of having Tiger Woods as a part of it. The span between the years 1999-2002 saw him venture into the world of slam wins. Tiger Woods won the Memorial Tournament, one of the most endured and sustained records in men’s golf. He completed his campaign with the win in his last four starts, which included the PGA championship. He gave a remarkable closing to the season with 8 wins, something that had been last achieved in 1974. No wonder he was voted the Associated Press Male Athlete of the Year and the PGA Tour Player of the Year. His journey of consecutive wins persisted with his fifth and later on extended to sixth at the AT&T Pebble Beach National Pro-Am. He was now only behind Byron Nelson’s record of 11 consecutive wins. Next Tiger Woods broke or tied the nine times victory record of the U.S. Open, 2000. He triumphantly broke the record of Old Tom Morris, of the largest victory margin. This record had been created by Morris in 1862. Sports Illustrated termed his ten strokes performance into the finals the greatest performance in golf history. His 8 strokes win of the Open Championship; St. Andrews set the record of lowest score to par in any tournament. Tiger Woods at the age of 24 became the youngest achiever of Career Grand Slam. He became in the only other golfer to join the Ben Hogan with a hattrick in professional majors in a single season. His victory at the Bell Canadian Open made him the only other player; post Lee Trevino to win the Triple Crown of Golf. He had to his name 3 consecutive majors, 27 tour records and 9 PGA tour events after his 2000 campaign. Of all his participation in 20 events he finished in the top three 14 times. He became the only golfer to be honored with the Sports Illustrated Sportsman of the Year. Moreover Tiger Woods became the 12th best golfer by Golf Digest magazine, within 48 months of his professional golf playing. He became the creator of “Tiger Slam” with the simultaneous victory of 4 major championship titles. He finished with the win in the PGA tour. 2002 saw Tiger Woods being placed in the league of Jack Nicklaus and Nick Faldo as the back-to-back winners of Masters Tournaments. Woods faced a few unfortunate defeats ultimately bagging the money title, Vardon Trophy and the player of the year for the 4th year in a row. To know more go through the next post of the making of Tiger Woods.